Before moving to Hong Kong, I wrongly thought that the city would only be skyscrapers, buildings and roads. I never thought that there would be so much outdoor space and wild life. To today I’m still surprised how easy it is to get away from the busy city and explore the countryside. 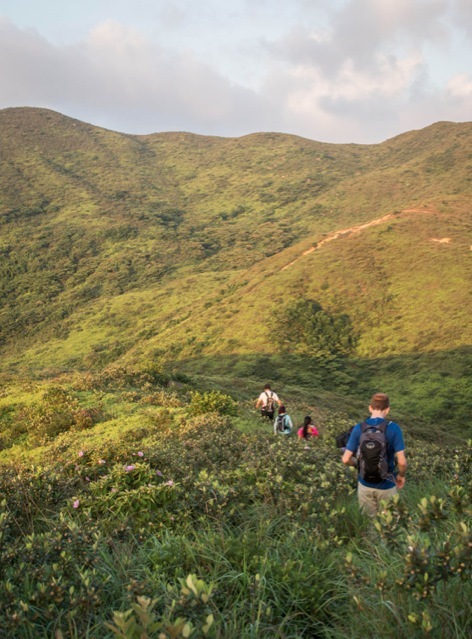 There are a huge variety of trails for all abilities spread throughout Hong Kong, Kowloon, New Territories, and the outlaying islands. Best of all is that you don’t need much to get started. Here are a few simple things to keep in mind. 1. You don’t have to travel far and often the start of a hike is very easy to get to. You could just take the MTR to Quarry Bay and start walking to the Windy Gap Road, then either go uphill to Mount Butler and follow the Wilson Trail or you walk downhill to the Tai Tam Reservoir. Or you could just hop on the ferry to explore Lamma, Peng Chau or Cheng Chau islands. 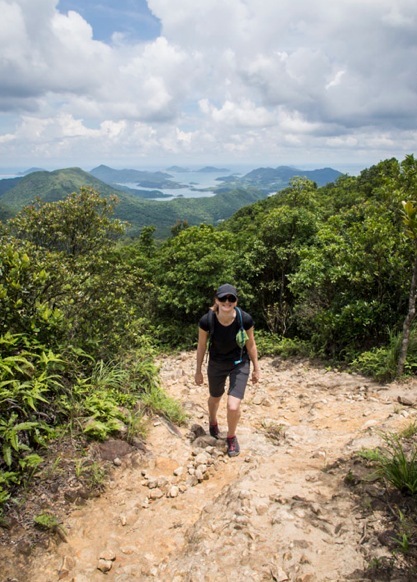 Of course, if you don’t live too far away, I would encourage you to visit Sai Kung, but from my flat in Discovery Bay it can take up to 3 hours to get to the start of the MacLehose Trail, so I don’t often go to Sai Kung. 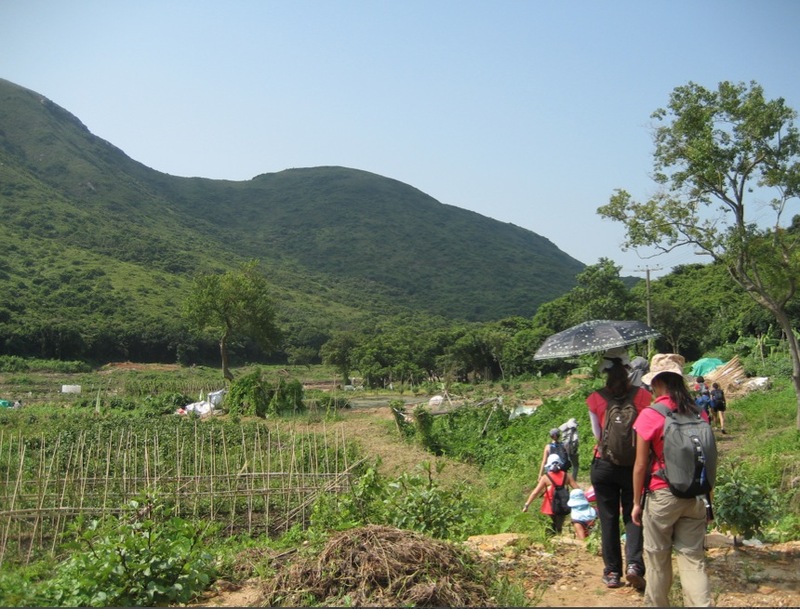 Instead, I’m happy to explore Lantau Island, where there is so much more to do then just hike the Lantau Trail. 2. You don’t need fancy equipment, hiking boots or camping equipment. Just make sure to wear weather-appropriate clothing (don’t wear cotton, it will be too heavy and once it’s wet it will be uncomfortable) and a comfortable pair of shoes (a good pair of trainers will do for most routes). Sun block and mosquito repellent might also be a good idea, depending on where you will be hiking. If you hike in the afternoon or evening, you’ll need to bring a torch along. Take a backpack along, so you can carry your water (could be in a bottle or in a Camelbak) food, map and torch. 3. Be prepared. Make sure to check out the route you’ll be taking – so either read the guidebook, take the map along or if you join a group, make sure you’ve read the instructions carefully. You’ll need to know how long the hike is, so you can take sufficient water and food along. On most hikes you can replenish your food and water supply, but there are some occasions where it might not be that possible. So always take some cereal bar or dried fruit with you, in case you are running low on energy. Also, do take sure to take enough water with you – I never go out with less than 1.5 litres of water, even if it is only a 2 hour night hike. At day time in the summer, I’ve been carrying 4 litres on hot days and I needed every drop of it. Also, in summer you might want to set your alarm early to start at 7-8am. Otherwise it can get too hot if you are out at noon. 4. Pick an appropriate hike! Are you with elderly people, young children, pets or unfit friends? Don’t pick an Everest-like climb, or an excessively long trail. Pick something manageable, or with short intervals, so that you will be able to exit conveniently in case you need to. 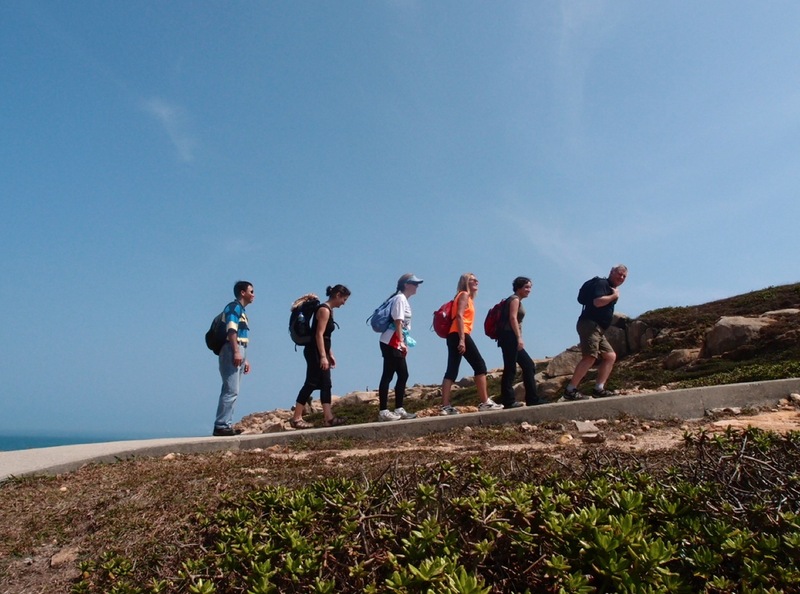 A good idea is to select an appropriate hike for the weakest person in your group. 5. Finally, stay safe. Tell your friends and family where you’ll be hiking and when they should expect you back. Also turn on the GPS Hiker Tracker Service so that in case you’ll get lost people can find and help you. During the hike make sure to drink enough water and rest. If you don’t feel comfortable, look for an early exit. Any other tips that you have for fellow hikers? One of the things I love about Hong Kong is the easy access to nature (and with it, the hiking). Though it’s hard to get away from the smog! I’m not a hiker myself…at all! But it struck me indeed how much green and nature there is in and around Hong Kong. Wonderful!